Although born in Scotland in 1733, Samuel Johnston lived in North Carolina from infancy. Historians have described the native Scot as a “prominent voice for the Patriot cause” who possessed “Revolutionary zeal.” Even so, many North Carolinians today are unaware of his illustrious political and legal career. 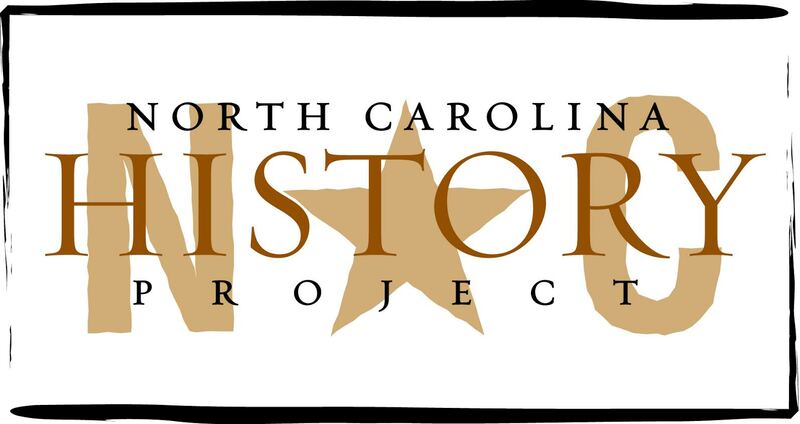 He served in the colonial assembly from 1759-75, and when North Carolina moved toward independence, he served on Committees of Correspondence and in North Carolina’s Provincial Councils. After the Revolutionary War, he was a state legislator and a delegate in the Continental Congress. When Americans debated whether to approve the Constitution, Johnston — James Iredell’s brother-in-law — was one of its leading proponents. Johnston also served as president of North Carolina’s two ratification conventions: Hillsborough (1788) and Fayetteville (1789). Johnston was elected governor of North Carolina three times. He served two full terms — 1787-89 — at a time when the General Assembly elected the governor to a one-year term. His third term lasted only two weeks before he resigned. (The state legislature had elected him to the U.S. Senate.) Johnston represented North Carolina until 1793. * He played an influential role in putting down the Regulator movement (a longstanding protest by Piedmont farmers against what they considered cronyism, excessive legal fees, and political corruption). Johnston called the unrest one of the most pressing issues facing Royal Governor William Tryon, whom he criticized for acting ineffectively. As a result, Johnston introduced legislation — the 1771 Riot Bill — equating riotous behavior with insurrection. One of its provisions was that assemblies must disperse one hour after being told to do so. The Riot Bill was read aloud in 1771 to Piedmont farmers who had gathered on a field in Alamance. After an hour, they remained and the Battle of Alamance ensued. Some have wondered why Johnston could have supported the royal government in 1771 yet endorsed independence in 1776. It’s an interesting series of political decisions that needs an explanation, but his views were not inconsistent. Simply put, Johnston saw the Regulator movement primarily as a threat to law and order in North Carolina. Later, he believed that Parliament was acting unconstitutionally. * Johnston was a Patriot who befriended Loyalists. For example, a Committee of Safety alleged that Cullen Pollok, a Scot, expressed Loyalist sentiment. The charges eventually were dropped, but in his defense, Pollok allegedly disrespected local militia. Late one night, a few men later removed and dragged the Scot from his house to the courtyard and tarred and feathered him. Afterward, Johnston sheltered Pollok and his family until local tempers cooled down. * Johnston was a leading attorney who represented the defense in the famous 1787 Bayard v. Singleton case. The decision provided precedent for judicial review, the concept that a court can overturn a legislative act, made famous in the U.S. Supreme Court’s landmark 1803 Marbury v. Madison decision. During the Revolutionary War, Loyalist property often was seized, and after the war, many Loyalists tried to regain their homes and lands. The North Carolina legislature in 1785 passed an act barring superior courts from hearing lawsuits brought by former Loyalists. Elizabeth Cornell Bayard was to inherit land that had been seized and sold. She filed suit, and Johnston represented her. The Court of Conference ruled that it could not uphold the 1785 statute because it violated the 1776 state constitution. The court ruled, however, that Bayard’s father, a Loyalist, never had been an official resident of the state. * In 1781, before the Constitution was ratified and there was no national executive or judicial branch, Johnston was nominated to be president of the Continental Congress. He turned down the opportunity and returned to North Carolina.